Sometimes the reflection we get is slightly different than the image in front of it. 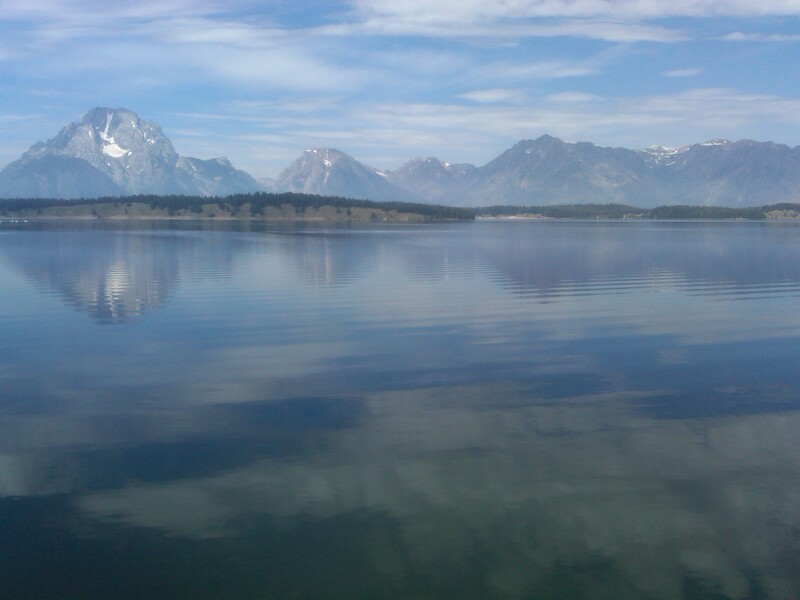 Like the mountains appearing in the glassy lake, the ripples of our lives distort what we see. Often we don’t see the extra pounds we’ve put on or lost. The mind sees something else entirely. It sees yesterday’s reflection, the one we expect to see instead of the one that is. And what about everything that lies beneath? If we don’t show it, does that mean it doesn’t exist? I think we all know that isn’t true, but we act as if it is. We mirror back to others what we think they want to see. We mirror their own feelings back to them. We feel like we must at times. If they seem sad, how dare we smile broadly or show our happiness. We mirror their pain, their suffering. But there’s a whole universe beneath the ripple of the water and a world of emotions behind our facial facades. Let’s dip below the surface and see what lies underneath. Beautifully written, and very true indeed. I love the photo just gorgeous, beautiful reflections on the water. I have come to want to shout in various ways “Don’t steal my joy”. So if I see, read or hear negativity…and not wishing to align myself with that, I think carefully how I can express the opposite, to lovingly disarm the offender. Interesting post. What a beautiful photo! Now, what was the post? 😉 Yes, we need to get beneath that outer layer. The photo drew me in, the words nourished my soul. Great post. Wonderful post and gorgeous photo! Very well written Renee and so true. I admit that when I look in the mirror I always wish that time would stop. Even though a spouse may say that you are still gorgeous there is something about that dang mirror that tells you they’re lying! Beautifully written with an excellent photograph. The only thing i believe that, “I just need to live my life in such a way that, when ever I would stand in front of a mirror. I would be feel proud of myself”. Wonderful post Renee. Love it. Shocking to see the reflection of a 66 year old woman when I look in a mirror. Where is the 16 year old girl I still am? Lovely post, Renee! Yes. I think it’s very important to delve beneath the surface. We often spend too much time on the superficial. Gorgeous photo!